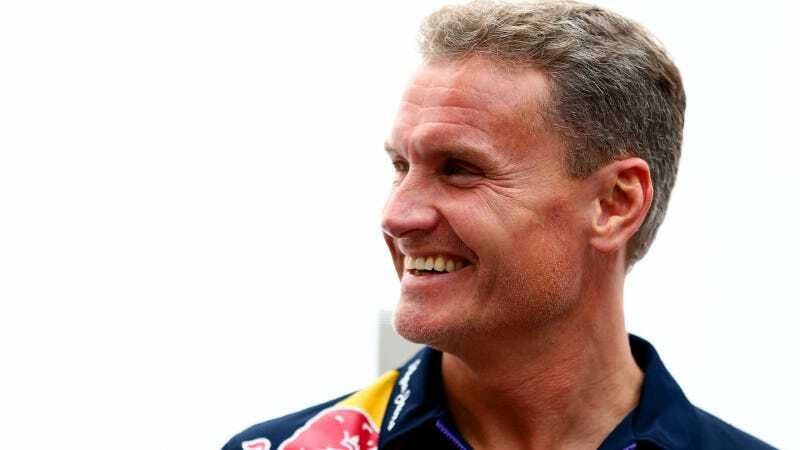 Ex-Formula One driver David Coulthard, who is neither a scientist nor an F1 champion, claimed to the UK’s Daily Record that women will always struggle to beat men in F1 because of some last links to “mothering DNA.” So, uh, did he spend 15 years in F1 without a title because of “fathering DNA,” or what? We all have different skills and some people choose to develop those skills in competition and there’s no reason why a lady could not compete at the highest level. It’s not the physical aspect that limits ladies’ ability to compete in Formula 1 at the top level. It’s maybe that last little bit of separation between the mothering DNA that makes ladies capable of having a child and providing for that child. If he’s going to bring mothering into the picture, then what explains the varied behavior of the fathers on the grid? There are countless examples in history of men becoming more cautious or even dropping out of racing entirely after becoming dads. Nico Rosberg just quit F1 in order to go be a dad, for Pete’s sake. But that’s just it: their priorities changed. That’s not a genetic predisposition that’s special to dude-DNA. That’s just what happens when you have a kid depending on you for survival—or in Rosberg’s case, you just want to be there for the little jokers as they grow up. When the helmet is on and you close the visor, you don’t think about the fact that you’re a dad, or that there is a family behind. I can’t imagine this would be any different or any harder to let go for a woman in the same position, either. We’re still comparing apples to oranges, though, as the women who have tried for an F1 drive in recent years haven’t been mothers. Most drivers in that hyper-competitive world of racing tend to be younger, and time spent off for any reason—even to recover from injuries—is generally seen as a way to lose your racing seat to someone who’s available while you’re out. So, why would mothering even be a factor when there’s a good chance you’re putting that on hold indefinitely by going into F1 in the first place? The reality is though, and she would acknowledge this, that in the same way I was not as talented as Michael Schumacher or Lewis Hamilton, she wasn’t as talented as Schumacher or Hamilton. Thanks, Captain Obvious—we also saw that she never made it past being a test driver, too. This, I think, hits at the real problem: there have been few women in F1 to date compared to legions of men. Take the same number of men at random and you may end up with Taki Inoue and Pastor Maldonado in your sample instead of Ayrton Senna and Michael Schumacher. Comparing outliers (which would be any women in racing at this point, sadly) to outliers (past F1 champions) is a bit of a stretch. The same actual science-men who probably groaned at the too-generic phrase “mothering DNA” probably wouldn’t let that group size fly as the basis for a conclusion, either. This entire nonsense theory completely disregards the other issues at hand keeping women out of motorsports—everything from the long-held belief that racing wasn’t a “girls’ thing” and the pressure to do other activities accordingly to a sometimes-hostile environment at the track. Unfortunately, comments saying that women never be able to compete with men only serve to limit who’s willing to put up with that further. In other words, this might be a topic best left up to learned book-types, not so much an ex-driver.